A civil marriage ceremony is a great alternative to a traditional ceremony or if you are planning a destination wedding and wish to ensure that your paperwork is filed in Ontario. We will tailor the ceremony to suit your individual needs – your day your way! After the ceremony, you will receive your Record of Solemnization of Marriage and a copy of your vows. We offer four ceremony scripts. You can personalize portions of the script or add to it, subject to approval by your marriage officiate. Two witnesses are required who must be able to understand and appreciate what is taking place and be able to give evidence of such at a later date, if required. If you are unable to provide your own witnesses, Town staff (for Civic Centre ceremonies only) can act in this capacity for a nominal fee. Please arrange at the time of booking. All fees must be paid at the time of booking your ceremony. Payment may be made in the form of cash, debit, credit card (VISA or MasterCard), certified cheque or money order made payable to the Town of Georgina. *All fees are subject to H.S.T. Applicants must provide an interpreter if they do not speak and/or understand English or require sign language interpretation. The interpreter must not be one of the witnesses. 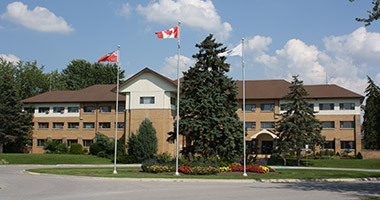 The Municipal Offices, including the Council Chambers, are wheelchair accessible. Accessible parking is available at the main entrance.